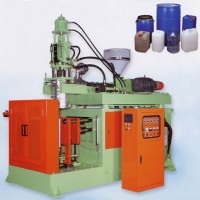 These machines can produce the container or tool box with a capacity of 5~35 Liters. These machines have a special design of accumulator. Due to its two cylinders. It is easy to inject and to control the thickness. It can save electricity and has high speed production.